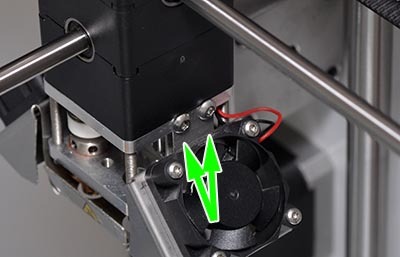 The PTFE ring is a new addition to the Ultimaker2 with the purpose of preventing plastic from sneaking in between the nozzle and the fan shroud. This is something that can rarely happen when the print detaches from the print bed which in turn can lead to plastic extruding into the fan shroud burying the heater block in plastic. Then insert the ring with the wide part of it on the inside of the shroud: And then re-assemble. 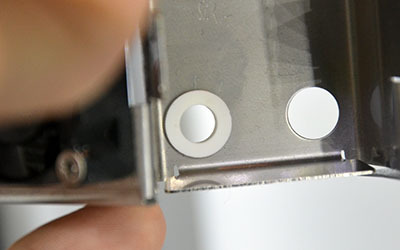 The nozzle+block will hold the ring in place.